From time to time, a book comes along that has the ability to touch our hearts and warm our spirits. I’m extremely pleased and excited to tell you about debut novel Walking Between The Stones by good friend and award winning author Pamela Trawick. A woman of rare wit and talent, Pamela Trawick’s style is compelling and has won the endorsement of many colleagues. USA Today bestselling author, Susan May Warren has said, “A beautifully written poignant story about marriage, tragedy, what happens when your worst fears take over…and the power of true love. A wonderful debut by a talented author! Jane Choate, author of The Little Witness says, “Pamela Trawick’s debut novel Walking Between the Stones is a winner in every way. Beautifully drawn characters fill a poignant story of forgiveness, healing, and most of all, love. Trawick reminds us that love is to be cherished and that it can indeed conquer all when we invite the Lord into our lives. 5 Stars! Pamela has agreed to answer five questions about her own life and novel. 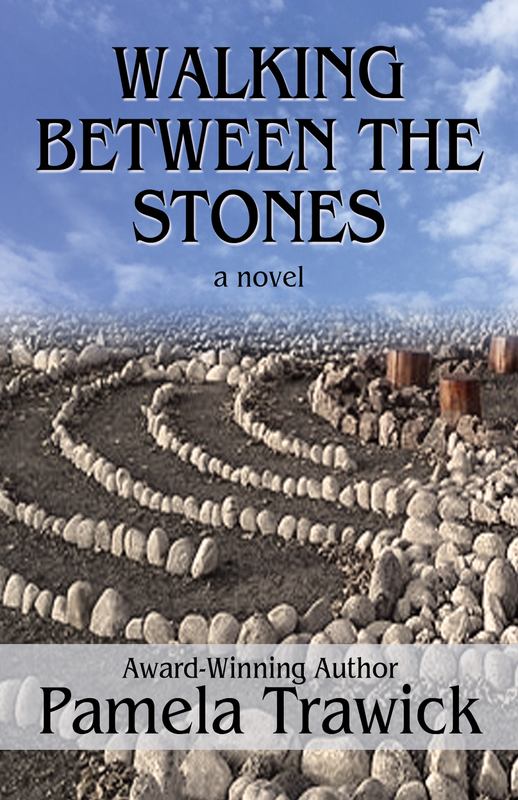 Walking Between the Stones is women’s fiction. I’m not sure that I chose the genre or that it chose me, but after I watched my neighbors dealing with their own and their loved ones’ dementia, I knew this was a story I had to write. While Willie Joe and Dory-Ann aren’t like me in terms of their appearance or their personalities, I share one characteristic with them: I talk to my dog. Like Miss Pixie and Tick, Daisy is an important part of my family. My first ever plane flight was from Arkansas to Germany. And, no, it wasn’t on a vacation. I moved to Germany for a job. How’s that for an adventure? The experience became the foundation for my first published devotion, “Beauty’s All Around,” which was part of Big Dreams from Small Spaces. 4. What secret about the book will enhance our knowledge about you or the book? Many times when an author begins a book, she has a message she wants to share with readers. When I began Walking Between the Stones three years ago, I never thought that the message would be for me. I began the story by challenging Willie Joe with a fear of Alzheimer’s, but before the book was published, I was dealing with my own cognitive problems. Now when I reread the book, particularly the opening scenes, I see myself doing many of the things Willie Joe does. Oh, yes. While the basic concept came from observing my neighbors, I needed to learn everything I could about dementia, its causes, its symptoms, and its possible cures. I was very fortunate to have a writing friend who’s also a doctor. Many thanks go to Dr. Marsha Henke for sharing her medical knowledge with me. Pamela Trawick draws on her years as an attorney, specializing in family law and estate planning and her parents’ experience battling cancer and ALS, to craft a story of a couple traversing the rocky terrain of emotions and challenges tied to aging. 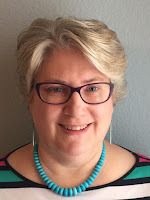 Her books have been finalists in numerous contests, and Walking Between the Stones won the 2014 Oregon Christian Writers Cascade Contest for best contemporary novel. Pamela lives in San Jose, California, with her husband and their only slightly spoiled Westie. The day before their fortieth anniversary celebration in their small Arkansas hometown, Willie Joe Lankton tells Dory-Ann he must leave. Embarrassed by his disappearance, she makes excuses to her friends and family about her husband’s location. Heartbroken and frightened, she tries to track him down, but Willie Joe doesn’t answer or return her calls. Willie Joe Lankton, has a lifetime of experience repairing vehicles, however, he may have made a mistake when a young man is killed in an accident while driving a truck he just repaired. Suffering from memory lapses he believes are signs of Alzheimer’s, Willie Joe flees to the western states so as not to burden Dory-Ann. A troubled journey, pride, and fear keep them apart until God's plans are revealed.